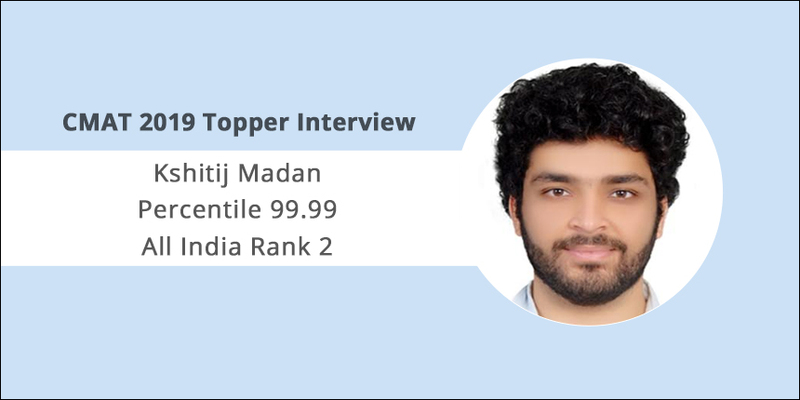 CMAT 2019 Topper Interview: Preparing for a national-level management entrance exam doesn’t come easy but it wasn’t really hard for Kshitij Madan who topped the CMAT 2019 exam with 99.99 percentile to grab All India Rank 2. An IT professional, Kshitij started preparing for CAT initially which made CMAT quite easy for him. Apart from topping the exam, he also scored 97.81 percentile in CAT 2018 and 96.7 percentile in XAT 2019. A poet by heart, Kshitij has done his Bachelor of Engineering (BE) from Ramdev College of Engineering, Nagpur. In a conversation with Careers360, he talks about his preparation journey, how he is preparing for the selection rounds and his plans ahead to join a B-school. Careers360: Congratulations on securing AIR 2 in CMAT 2019. Were you expecting this result? What was your reaction when you saw it? Kshitij: Thank you! To be very honest, I didn’t expect this kind of result at all because I did not dedicatedly prepare for CMAT exam. I was preparing for CAT, XAT and IIFT but keeping the difficulty level of these exams into consideration, I wasn’t very sure about my result. So, I appeared for CMAT but I was absolutely unsure about this kind of result. Careers360: Tell us something about yourself, in terms of your family and education background, work experience etc. Kshitij: I’m from Nagpur and I pursued my engineering degree from Ramdev College of Engineering. After that, I moved to Bangalore to work with an IT firm as an Associate Software Developer. I love writing poetry and I post my poems and other stuff on social media. Careers360: Which other MBA entrance exams did you appear for? 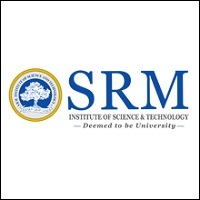 Kshitij: Apart from CMAT, I appeared for CAT, XAT, IIFT, NMAT and MICAT. I scored 97.81 percentile in CAT 2018 and 96.7 percentile in XAT. This was my first ever stint with the MBA entrance exams. Careers360: Why did you decide to take CMAT? Which are the B-schools you are targetting through the exam? Kshitij: I wasn’t really sure about giving CMAT. I was actually preparing for CAT, XAT and other major MBA entrance exams but I wasn’t sure whether I would be able to crack these exams or not. So, I thought of writing CMAT as well as a plan B to get a call from one or two renowned B-schools which accept CMAT scores. Thank god, I managed to score well in all the exams I appeared for. Careers360: How did you balance your preparation along with your job/studies? Kshitij: I was working with an IT company as an Asst. Software Developer when I started preparing for entrance exams. I quit my stable job and started working with a start-up which gave me a perfect work-preparation balance but in the final months of my preparation, I left my job. Careers360: Did you opt for coaching? How important is it according to you to crack a competitive exam like CMAT? Kshitij: Not for CMAT but yes, I took coaching to prepare for CAT and XAT. I joined T.I.M.E. in Bangalore and it was really helpful as I had no prior knowledge of these exams. I didn’t even know that there are so many other MBA exams apart from CAT and XAT. The study material provided by the institute and the mock tests were really helpful during the preparation. Even though every exam has its own curriculum but if you are solely preparing for CMAT then coaching is not required. Careers360: What was your strongest and weakest sections in CMAT? Kshitij: GK was a bit difficult but the rest of the exam was quite easy. I was able to solve the first three sections in the first two hours. I guess CMAT offers a lot of time to solve all the questions. You need to solve 100 questions in 180 minutes. Careers360: Did you challenge any of the CMAT answer keys? Kshitij: Yes, I challenged one answer in the Quant section but did not check the result. Careers360: How are you preparing for the next rounds, such as GD, Essay Writing and PI? Kshitij: I have started preparing for the interview process and I’m also revising a bit of academics. I’m also reading current affairs because that helps a lot in WAT (Writing Ability Test) round. Careers360: Which B-schools have you been shortlisted by? 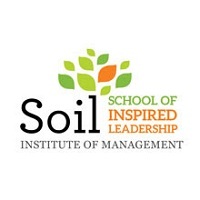 Kshitij: I have got calls from new IIMs and a couple of other B-schools. Let’s hope for the best. Careers360: What is your message for the next year's CMAT aspirants? Kshitij: As I didn’t t prepare specifically for CMAT, I cannot really give a message for the ones who want to appear for it next year. However, I would like to say that if you are preparing for CAT or XAT, CMAT will automatically be taken care off. I have scored 50 % in B.com. (1+2+3 years) But 48 % in Hons papers (2nd +3rd year). 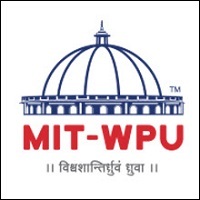 Am I eligible for MBA in colleges which seeks 50%? Your CMAT brochure has been successfully mailed to your registered email id .